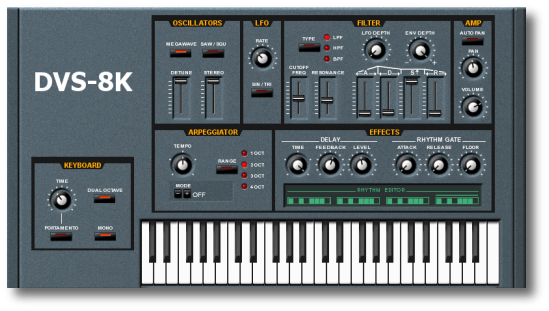 This VSTi Plugin was inspired by a well known Roland® keyboard with it's SUPER SAW sound so popular in modern dance music. It should be noted that this plugin was not designed to emulate the original hardware. The DVS-8K's oscillators are mixed and panned in stereo through dual filters, envelope generators and stereo effects to produce a really fat and wide powerful sound. The DEMO version produces noise every 10 seconds. You can purchase the full version for the sale price of €9. 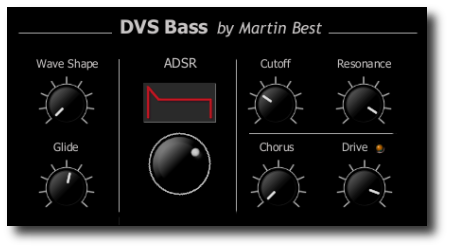 A bassline synthesizer with an innovative single knob A.D.S.R. envelope control and simple design to enable a wide range of bass sounds to be created quickly. The simple front panel defies the complexity that's under the hood, there is a bank of oscillators that are mathamatically detuned by non linear amounts to sound fat and analog, they are mixed in stereo through low pass filters, plus a host synchronized echo, arpeggio generator and nine selectable trance rhythms, the result is a simple fast to use instrument with a very wide powerful sound. 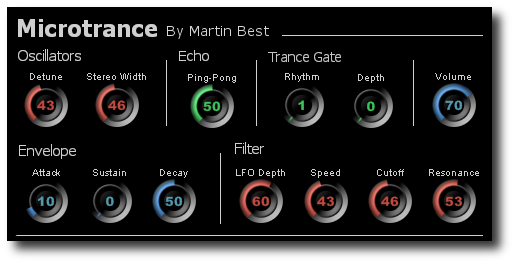 Inspired by the Mellotron from the 1970s but with a modern twist for producing Trance, GOA, Progressive etc. 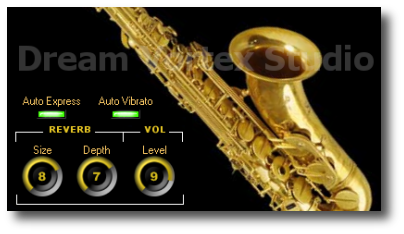 Designed for expressive playing, careful attention was payed to the way 'velocity' and 'pitch bend' effect the filters, also the reverb has been configured to compliment the saxophone sound. 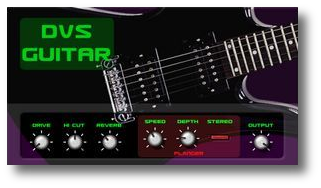 This is based on a sampled guitar and includes Overdrive, Reverb and Flanging. It's good for leads and heavy sounds, and very realistic if your good with a pitch bend controller. This is a recreation of a Mellotron/Novatron owned through the 80's, the voices were recorded on a Studer A80, the tape was lost then found in 2004 and work commenced cleaning up the recordings, correcting pitch errors etc. recreating the Mellotron/Novatron in this VSTi plugin. This is a large download (18MB) due to the long samples required for an authentic sound. 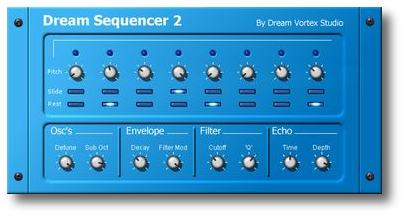 Dream Sequencer is for those simple deep bass sequences of the 70's as produced by Tangerine Dream etc. The VSTi synchronizes with the host bpm / bar start, and it takes its root key from a "midi note" and plays for the duration from "note on" until "note off". If you use the plugins often please make a donation.